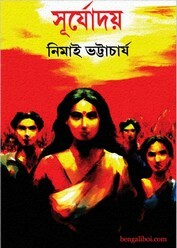 Nimai Bhattacharya, an extraordinary novel in Bengali literature 'Memsaheb', this wonderful novel created by this aothor. The author's literary thinking has become a personal follower of his life. In 1963, a novel written by him was first published in 'Amrita Bazar' patrika as weekly issue and he received wide praise from literary lover readers. Since then, he started writing novels alongside journalism. Notable published books are- 'Nachni', 'Kerani', 'Piyasa', 'Mogolsari Jantion', 'Nimatran', ' Prabesh Nishedh', 'Koktel', 'Preyoshi', 'Darling' etc.Friends, now I want to share another popular novel of his writing- 'Suryadoy by Nimai Bhattacharya' as pdf file.The pdf has 245 pages, 8mb with light watermark pdf.